Crowdsourcing is an emergent field that is having an impact on the way we work and innovate. Large companies and governments have already been the first to implement this new, creative, flexible and scalable workforce. We are part of the pioneers that provide solution based crowdsourcing consulting services. We have developed a significant crowd network by ranking them at different specialities to match them to your challenges. This allows us to leverage a network of experts that count more than 700.000 members worldwide via community management governance policies. We work with the best crowdsourcing sites to turn your challenges into value. 1- What is crowdsourcing ? 2- What is crowdsourcing consulting? Crowdsourcing consulting is a very new approach to traditional consulting. We see that global collaborative communities are changing the way we work by shifting, a section of the market, from typical consulting to an interactive, creative and scalable global talent workforce. We are certain that crowdsourcing of collective intelligence will in the future become a strategic asset for organisations willing to grow, specifically in its ability to innovate rapidly, solve complex problems and execute simple tasks. 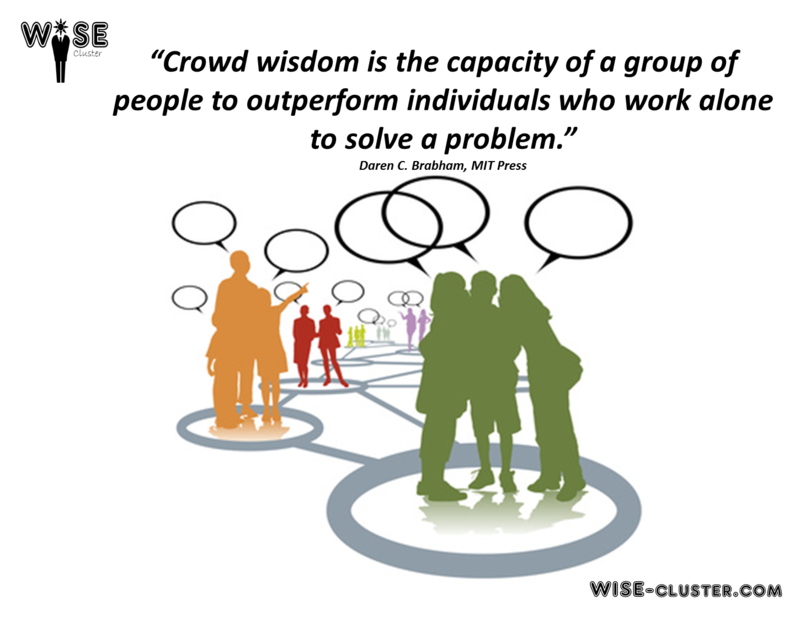 Daren C. Brabham says “Crowdsourcing platforms will come to be seen by organisations as run-of-the mill third-party vendors from copying and printing vendors, shipping and logistics vendors, or management consultants” source Crowdsourcing, The MIT Press essential knowledge series. How it works: you task a crowd to find and collect information into a common place and format. Kinds of challenges: information gathering, organization and reporting. How it works: you task a crowd with solving experimental problems. How it works: you task a crowd with creating and selecting creative ideas. How it works: you task a crowd to analyse a large amount of information. 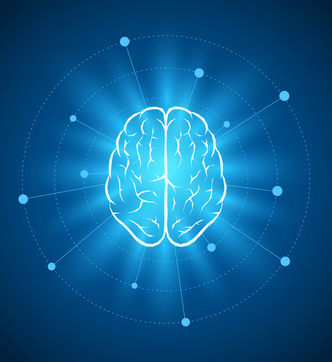 Kinds of solutions: data analysis where human intelligence is more efficient or effective than computer analysis. 4- How does it work? We pick the right crowd and offer the right incentives. 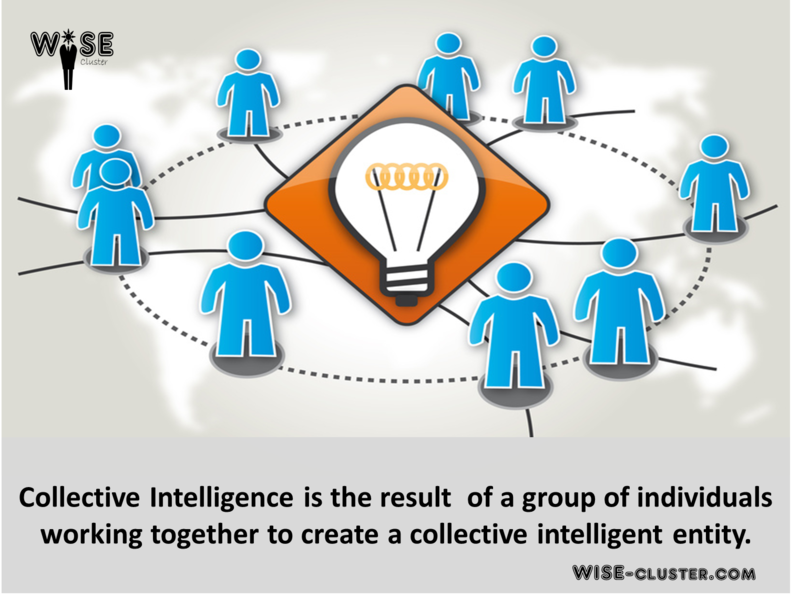 You want to solve a problem, design a new product or generate breakthrough ideas, then WISE Cluster will mobilize the crowd to find the solution for you. Step 1: Assessment and Objectives. Together we define your challenge and break it down into little simple steps. We first setup a meeting to better understand your challenge. Along with your team we lay the foundation. We’ll scan your current goals, strategy, and deliverables. Once we understand your needs, we’ll be able to select the right crowdsourcing community manager. From there, you’ll receive a tailored proposal with no further obligation. Step 2: Develop a project scope and governance policy to ensure your project is built for success. We organise a first internal workshop to define your scope, the number of stages your challenge will go through, the back end technology to be used, the idea selection process, KPI’s and the key sponsors. In other words we create a project brief to identify the objectives, the criteria for success, a vision, a plan and lists problems, desires and needs. The effort is now focused on the “wisdom of the crowd”. We need to set a dynamic relationship between your organisation (it also possible to stay anonymous) and the crowd. We immerse ourselves into the community ecosystem and observe it carefully. We ensure to maintain a motivated, healthy, productive and sizeable community during the full process to come up with the best solution. Then we experiment to identify opportunities, to develop insights and turn those insights into solutions. We encourage individuals to come up with new ways to solve your problems, looking to see what works and what doesn’t. Together we learn from the failures and start all over again, trying to find the right solution. 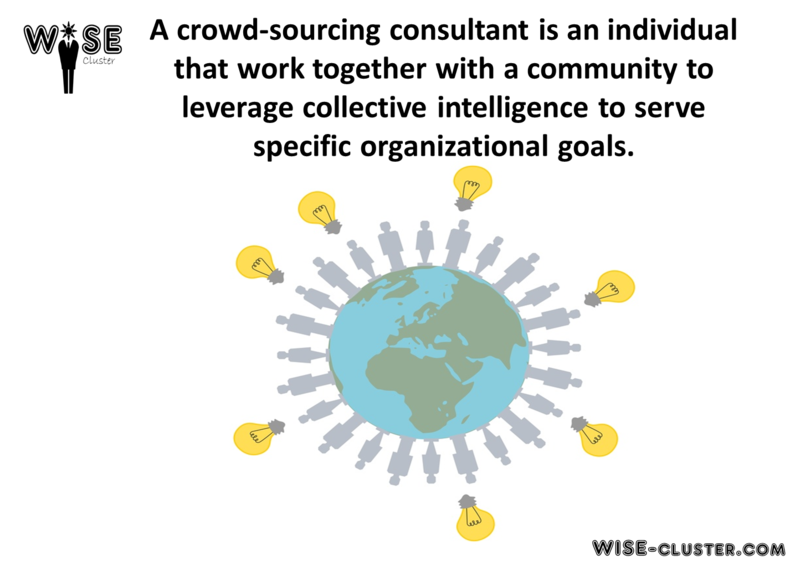 The connection between the crowd and your organization in very important for crowdsourcing because it ensures a win-win outcome that normally would not have existed without co-creation efforts of all the parties. Depending on your challenge we can close the project if the crowd delivers the required deliverables. But if your project is related to experimentation, we need to validate the crowd assumptions of an idea. The outcome of experiment is learning. We go fast from prototyping to incubation. We help ideas foster faster by holding effective reviews and by supporting the incubation of new ideas. We continue to iterate with your team and with the crowd. We use different scenarios to identify the boundaries and constraints within which the experimentation takes place. 5- Why should you contact us ? it can be a bit complex to manage on-line community appropriately. Crowd require direction and guidance.